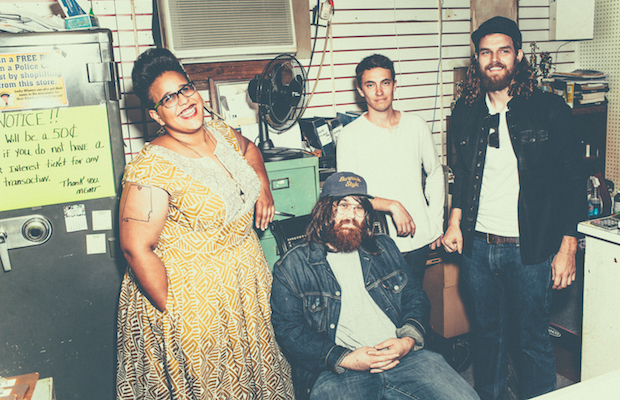 Just over two years ago (wow, time flies), we were singing Alabama Shakes‘ praises for their top-notch debut on Saturday Night Live. Now, with a new album on the horizon (Sound & Color, out April 21 via ATO Records), a kickass new single (“Don’t Wanna Fight”), an upcoming slot at Bonnaroo, and more, the Shakes have been tapped to return to 30 Rock, for an SNL performance this Saturday, Feb. 28. 50 Shades of Grey‘s Dakota Johnson will host. While you wait for Saturday to arrive, watch the group’s 2013 rendition of “Hold On” below!